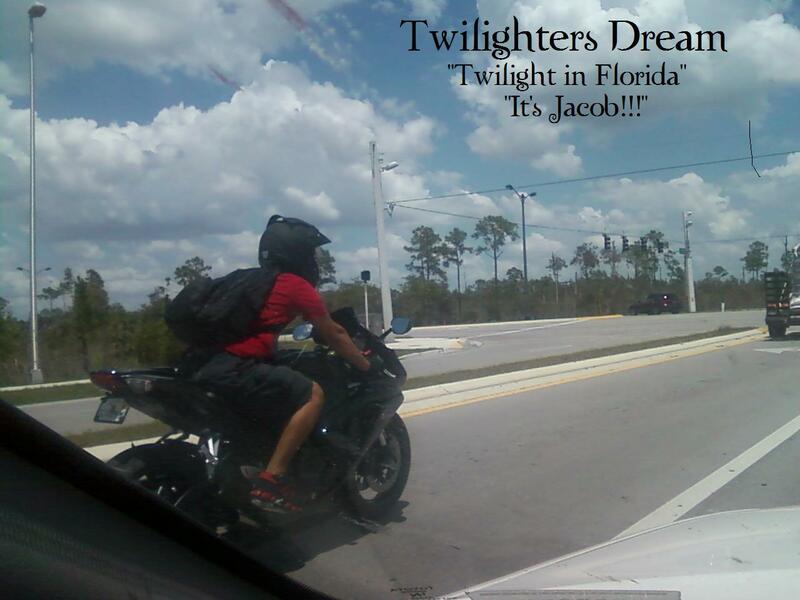 Twilighters Dream: I SAW HIM! 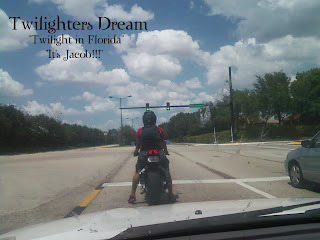 So I'm driving down the road today on my way to the bank, just like any other day, and then the coolest thing happened . . . I saw him! I thought he would be my "perfect" Jacob Black for Twilight in Florida. He's perfect! Only a true Twilighter can see something... anything and related it back to the Saga in some way. This is a great example of some fun and clever piece of Twilight that I've challenged YOU to find. The more creative and clever you get, the more fun it is and the bigger chance you will win. Check out the Challenge details here. Don't forget you have until 11:59 pm EST on Tuesday, May 10th to email me your pictures for the Twilighters Dream Birthday Challenge. We will begin voting on Wednesday, May 11th!